Earlier podcasts made by geeks, for geeks. It has changed over time. In early 2000, podcasts were not that popular because of the technology limitations. By 2020, the podcast market is expected to be valued at over 20 billion dollars with the USA being the most advanced podcast market. In 2017, the US Radio advertising market was $17 billion, while podcasting ad revenues was a mere 2% of the Radio ad revenues. Too small. See this and this for more info. Share of Ear is the only single source measure of all audio, online and offline, in the U.S. In 2014, Podcasting was at 1.7% of all listening and AM/FM Radio exceeded 50%. In 2018 podcasting constituted about 4% of audio consumption, while AM/FM was about 45%. China’ podcasting industry is considered 23x larger than the US market and this because China’s podcast subscriptions are paid. Podcasts are most popular in Delhi and Kolkata. Indian podcasts are available in English and Hindi as well as local languages like Tamil and Bangla. Weekly consumption rises through the week and peaks on Friday. In China, the popularity of podcasts is the result of a combination of factors – the desire for knowledge, the ease of making mobile payments, the need to update one’s skills and the fear of missing out. Interestingly, according to one report, even if people do not listen to a podcast and learn from it, the simple act of buying the information and having it accessible, gives them a sense of security of not being left behind. Thus, it is no surprise to note that the education, self-growth and business genres are the most popular. In India, podcasts are valued both for their knowledge and advice and the entertainment they offer. Indians turn to podcasts for news, business, sports, comedy, entertainment and spiritual advice. Between 2011 and 2016, the number of Indian language internet users grew by 41%. According to the same KPMG study, Indian language internet users are set to reach 536 million people by 2021. Over the next 5 years, 9 out of every 10 new internet users are expected to access the internet using an Indian language. This growth can be accounted for by reduced mobile data charges, increasing disposable income, growth in the number of smartphone users and improving digital literacy. This data could indicate that podcasts in Indian languages will soon be a lot more popular than English podcasts. Most of the internet initiatives in India have been in English and now they are being implemented in Indian languages. Will it be the other way for Podcasts in India, i.e. will Podcasts rely on Indian languages to take off? I hope so. With the upcoming General elections 2019 in India, I believe it would be a good time to listen to a couple of good political podcasts. Ad revenues of the US Podcast industry amounted to about $314 million in 2017. Time limitations are not a major factor as even placing just 2 ads in an hour-long podcast can generate revenue. In addition to the advertisements, the site’s call to action can also be integrated into the podcast content. Podcasts can also generate revenue through subscriptions. Of the $7.3 billion valuation of the Chinese podcast industry in 2017, a majority of the revenue was generated through paid content. The Chinese do not mind paying for content believing that free content is more entertainment-oriented with less substance as compared to paid content. The revenues from podcasts in India is minuscule. We have a long way to go before the revenues are of some meaningful size. 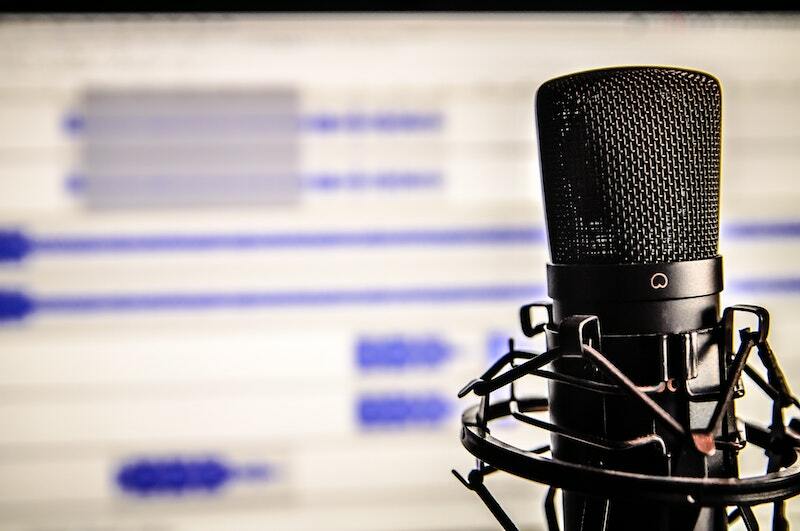 For now, podcasters in India for revenues will need to depend on advertising, subscription, licensing content to other sites and content creation as a service for other publishers. Once created, content for a podcast can even be licensed out to B2B and B2C platforms. Why Set up Your Own Podcast? There’s no rocket science involved in setting up a podcast but there are a number of ways it can benefit your brand. After podcasting, some sites have measured an increase in the amount of time a visitor spends on their site by as much as 150%. Where people stayed on the site for an average of 8 minutes, they now spend 12-13 minutes on the site. Why – because hearing a story on a podcast is the next best thing to reading it. Unlike video, podcasts fire up the listener’s imagination and keep them hooked to the story. A podcast also makes people feel as though they are being spoken to directly and hence keeps them engaged for much longer. The video market is saturated. So, you’ve got to look for newer ways to capture the market. Podcasting in India is taking its baby steps and hence, this is the time to get started with it. Seize the opportunity now before everyone else starts podcasting. Given the limited podcasts available, there’s no end to the topics and themes you could cover. With Google focusing on podcasts there is a good future for this medium, especially the ones in Indian languages. The Google Podcasts creator program is designed to increase the diversity of voices in the industry globally and lower barriers to podcasting. Podcasts are much-much lighter than video files. In a country like ours where internet speed is an issue in many places, podcasts are much easier to download as compared to video files. According to a survey by Prasar Bharati, the Prime Minister’s ‘Mann ki Baat’ program had over 40 million listeners per episode. An Opensignal report says the availability of 4G is not a guarantee for a smooth video viewing experience. This could be the best time for you to get into podcasting, be an early player to be a dominant player. Anyone can set up a podcast and make themselves heard. With podcasts, content is the true king and thus, your first step is to decide what your podcast will be about. Will you be talking about current happenings, travel, food, people – what’s your niche and who will be your audience? Once you have a script ready, record it. There are a number of simple audio editing tools you could use to give your podcast a few finishing touches. Some of the best audio editing software available online includes Audacity, MP3 Cutter, Acoustica and Tunekitten audio editor. If you have the budget for it, you could even get a professional to edit your podcast. Once this is ready, all you need to do is upload it to a podcast platform. Some of the platforms you could look at are Audioboom, Audiomatic, Awaaz and Pocketcasts. To time to get started with podcasts is now, even though monetization is low. While there are a number of people producing good content, there is still scope for much more. With podcasts, there is no limit to how far you can make your voice reach out to.